Kudu Camp a new edition to Oxpecker. 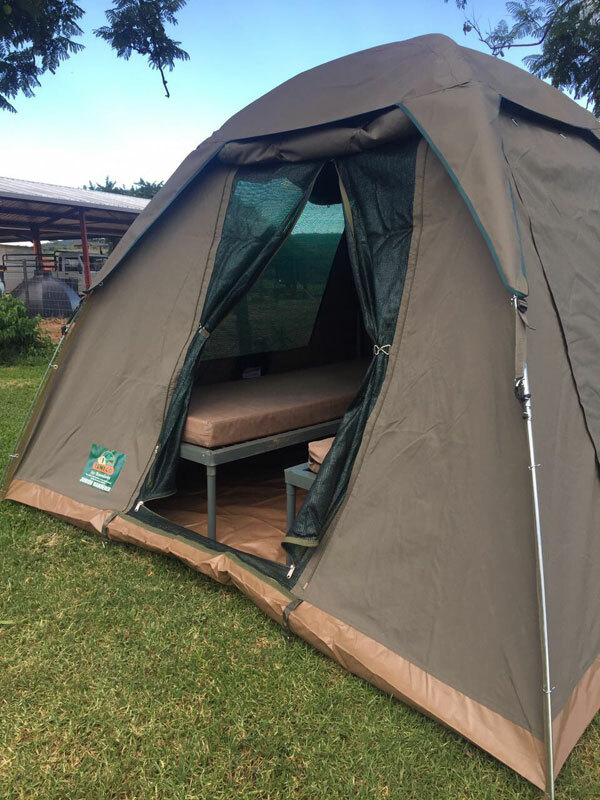 This is an upgrade from a standard Oxpecker tent to a canvas, safari tent with 2 beds included. This allows runners to have a better opportunity to sleep at night & still be part of the camaraderie of the race village. 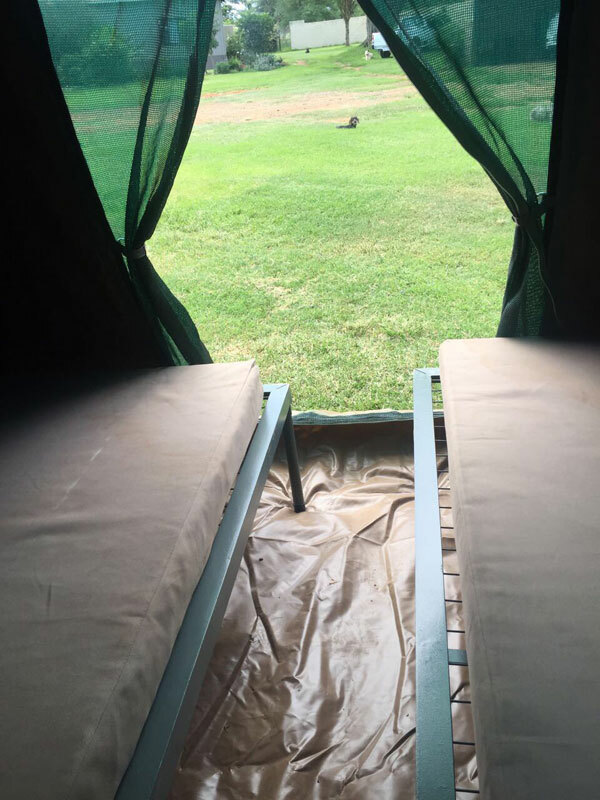 These canvas safari tents allow the guest to stand up and move freely around inside. The tents are placed close to the ablution block. Please note your own bedding is required. 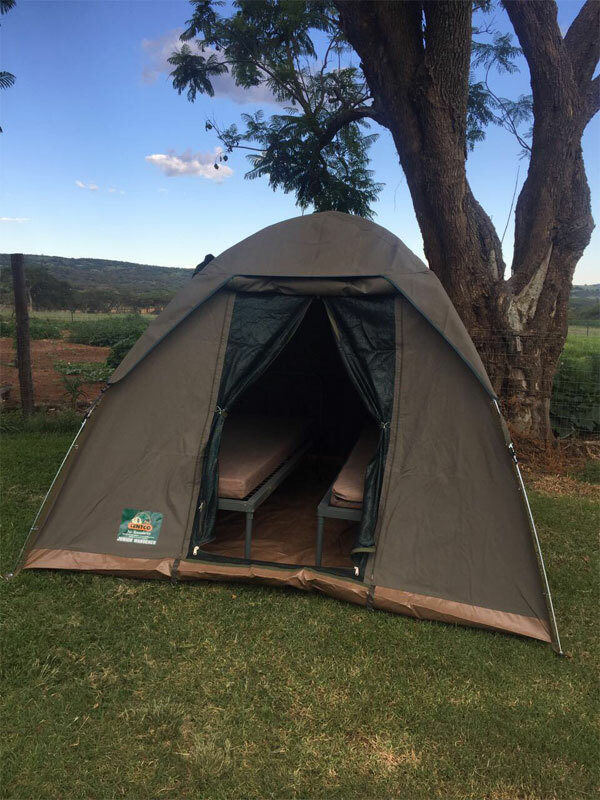 Cost: R1200 per tent (excludes race entry). It can sleep either 1 or 2 runners.